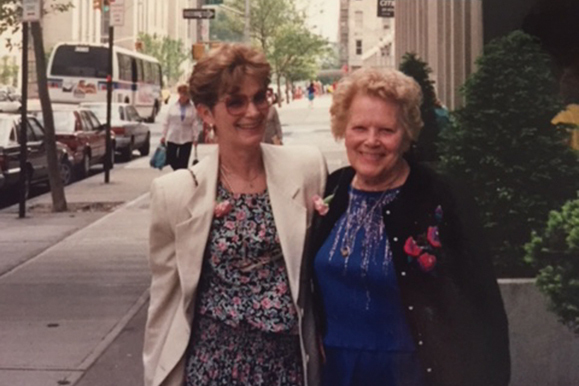 Kate and Catherine, the author’s mother, outside Mary Manning Walsh Nursing Home in New York where Kate passed away in 1996. That is what my grandmother, we called her Nanna, heard before she boarded the ship to America in the 1920s. It was advice from her brother, Jim Connolly, who bonded her and paid for her third class (steerage) passage. As the story goes, Kate Connolly arrived in New York in the early spring. 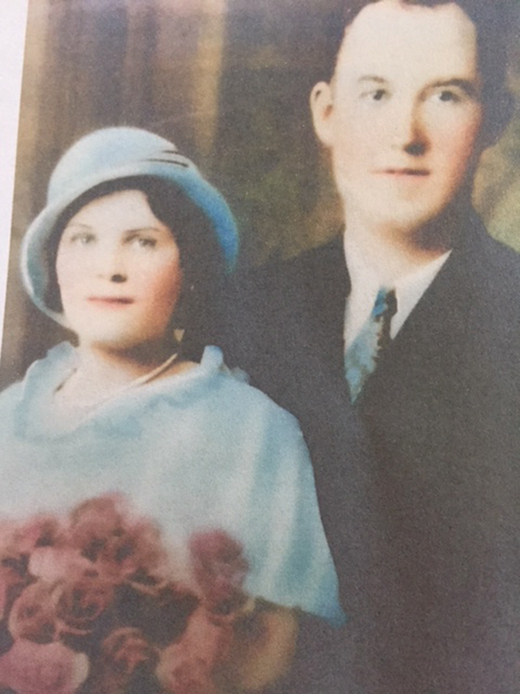 She worked as a domestic and waitress and enjoyed all America had to offer, especially the many parties that the Connolly family threw. Kate liked to have fun and was a popular guest. At one party she met Lucy Bailey, a cousin, who was her own age, and the two hit it off. In early July, Lucy invited Kate to visit her on the Upper East Side and Kate agreed. When the day arrived, Kate set out to walk to Lucy’s apartment. As she strolled along Second Avenue she heard a loud blast, and quickly took cover in a nearby doorway. No one else seemed to be bothered by the blast, so Kate waited until her heart stopped pounding and set out again for Lucy’s place. Kate Connolly with her first husband, Daniel Battle. Another blast. Kate dove for the next doorway and waited. She continued to do this, run from doorway to doorway, until she completed her journey to Lucy’s. Lucy laughed. “What kind of greenhorn are you, Kate Connolly, running scared? Haven’t you ever heard of the Fourth of July?” She told Kate about the fireworks, and how America celebrated independence from England. That was Kate’ s first Independence Day in America, and never would she forget it. She would tell us that story every year when we gathered to celebrate the Fourth, and sometimes she would add that one day, she hoped, Ireland would celebrate complete independence from England with fireworks, too! Kate enjoyed her life in America, but it was not without challenges. She married Daniel Battle and they had four children, my mother and her two sisters and one brother. It was not a happy marriage, and for a time the family went on Home Relief due to Daniel rarely working and drinking excessively. Back in the 1930s you moved to a cold-water flat for cheaper rent in the winter, and moved again in the summer. Even though they were poor, the sense of fun was what my mother remembered of growing up in the many apartments they had in Washington Heights and the Bronx. 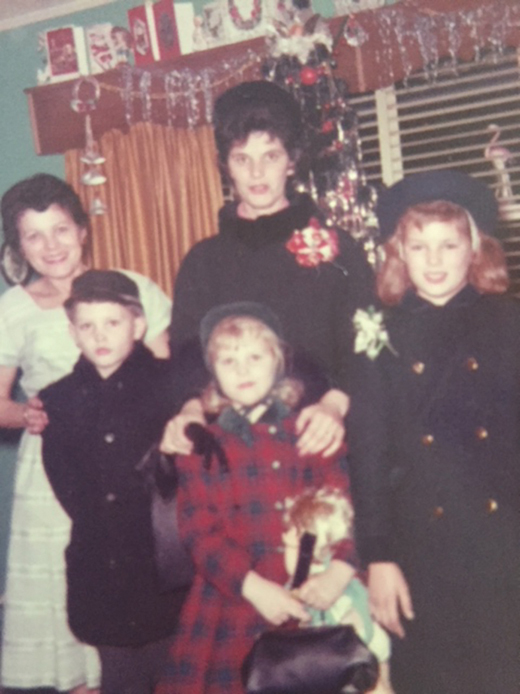 Kate (left) with her daughter, Catherine, (center) and her grandchildren, Michael, Lori, and Kathleen. Growing up myself, I often heard Nanna say, “Hard work never killed anyone.” And work hard she did. After Daniel left, she reared four children on her own. She was a domestic, chambermaid, defense factory worker during World War II, line cook, and finally a cashier at the President Cafeteria on Lexington Avenue. It was at this job that she met her second husband Edward Hofmann. They stayed together for the rest of their lives and had a happy marriage. Kate loved to laugh and talk about her old home in Sligo. She was always the first on the dance floor at any wedding or St. Paddy’s Day dance at the Tower Ballroom in Queens. Sadly, her remembrances grew less and less over time because of Alzheimer’s. My mother, along with the nuns, and her sister Julia, took great care of Kate at the Mary Manning Walsh Nursing Home on York Avenue in Manhattan. Remember Katie with the smiling eyes.